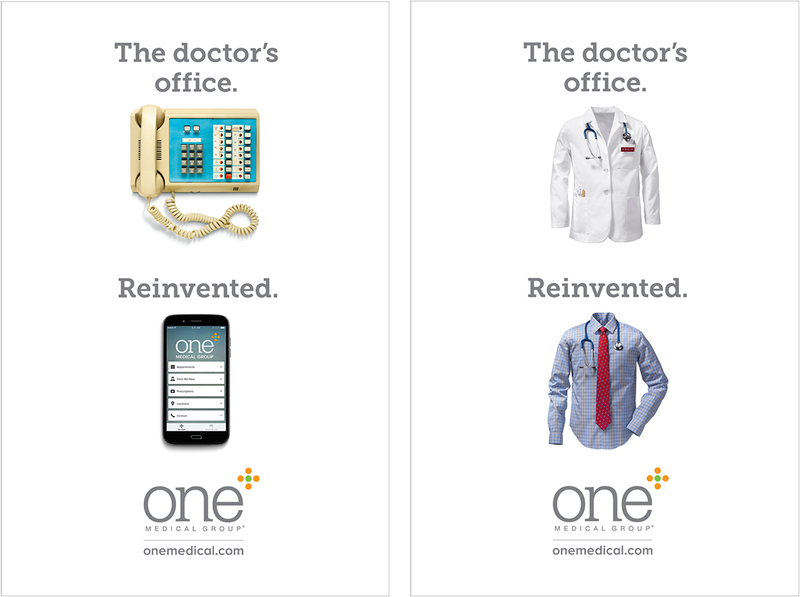 One Medical Group was founded in response to a growing disillusionment with standard primary care medicine. 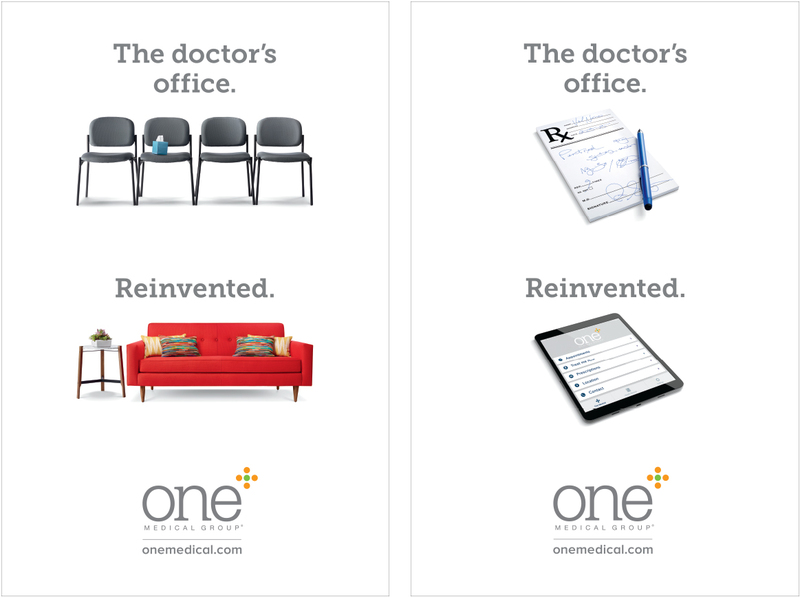 One Medical patients get same day appointments, a spa-like office environment, email with their doctor, an on-site lab that provides digital access to results, the ability to make appointments and request prescription refills online, and the flexibility to be seen at any One Medical office--all while being treated by physicians with the time to care for them properly. 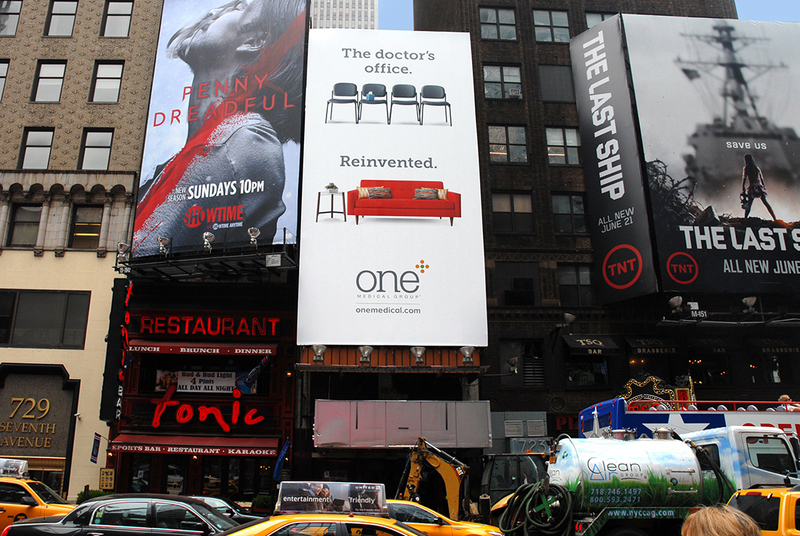 Our assignment was to create an outdoor and digital campaign that would introduce One Medical Group to the new cities where they were opening offices and to support the brand in the cities where they already had offices. Because this was an outdoor campaign we knew we needed to keep things simple. 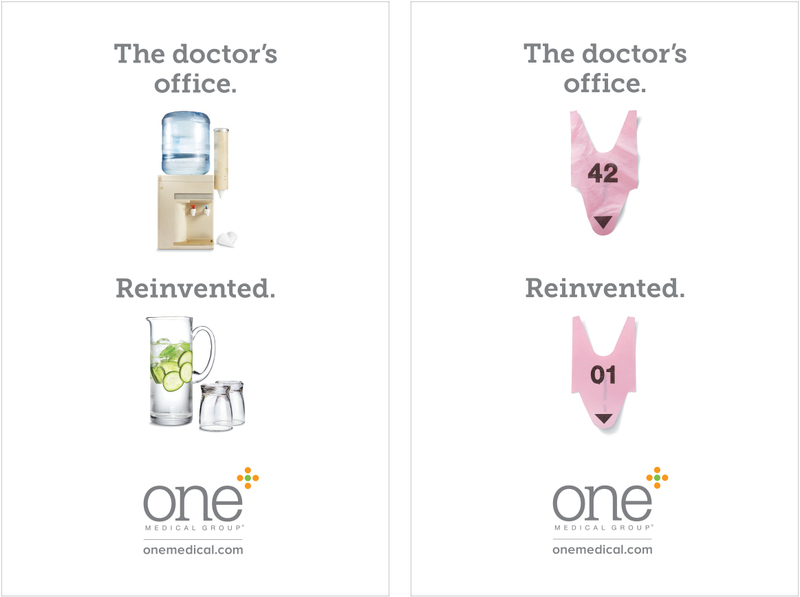 One Medical already had a tagline (“The doctor’s office. Reinvented.”) that we really liked and thought did a good job of communicating their offering. However, the tagline alone doesn’t speak to what has been reinvented. By adding visuals that showed a sort of before/after comparison we could really tell the whole story of exactly how they have reinvented the doctor’s office. We kept the visuals to a single object or a minimal arrangement of a few objects and shot everything on white. This created a simple, strong, ownable look that proved to have lots of legs.